Over the past decade, Meridian Interior Design has helped in creating the dream homes of countless individuals and families. 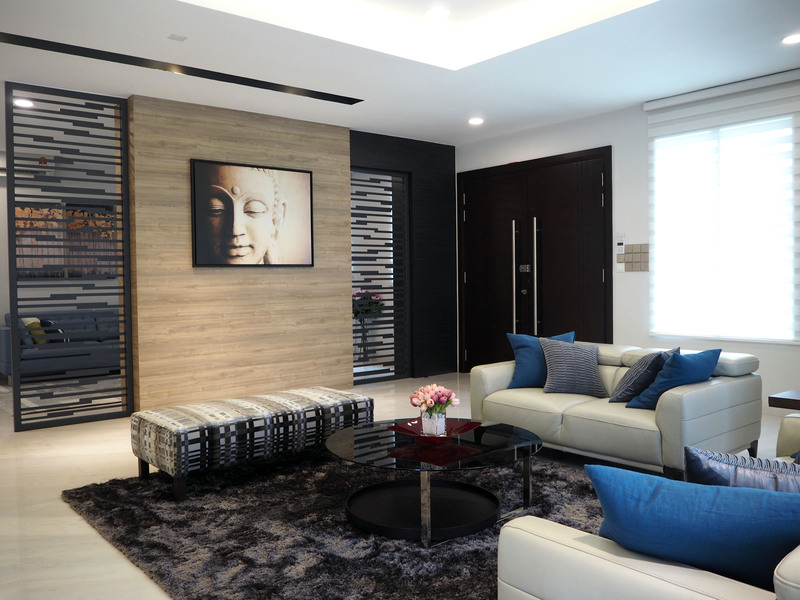 Glancing through our client base, we mainly provide interior design services in Selangor and Kuala Lumpur. 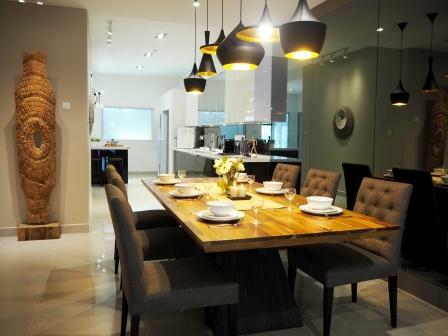 However, we welcome any project in other states as we target to offer interior design services throughout Malaysia. 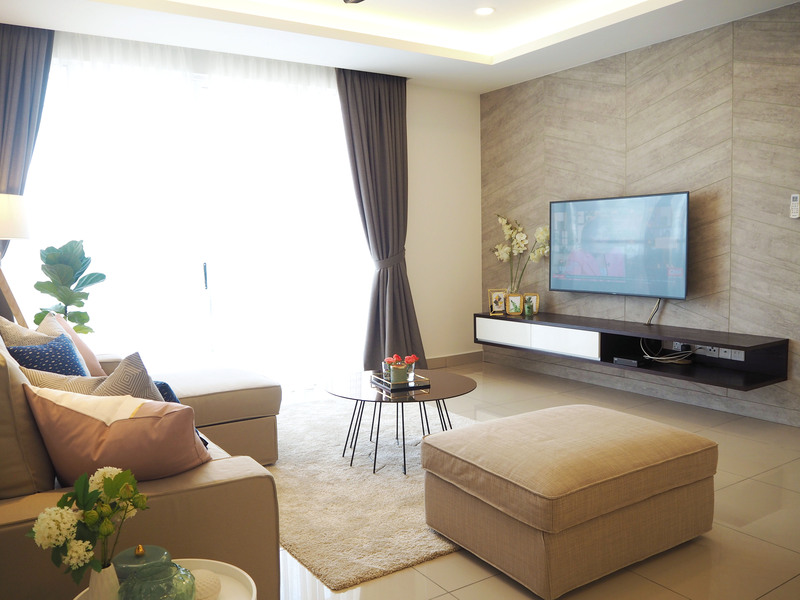 With our many years of experience in the interior design industry in Malaysia, we stand out in transforming an empty space into a magnificent home, complete with present day furnishings such as dining table, kitchen cabinet, sofa set, and many more that amaze. Our team of professionals are ready to serve you, be it in suggesting a design layout that you adore to executing the construction upon your approval. 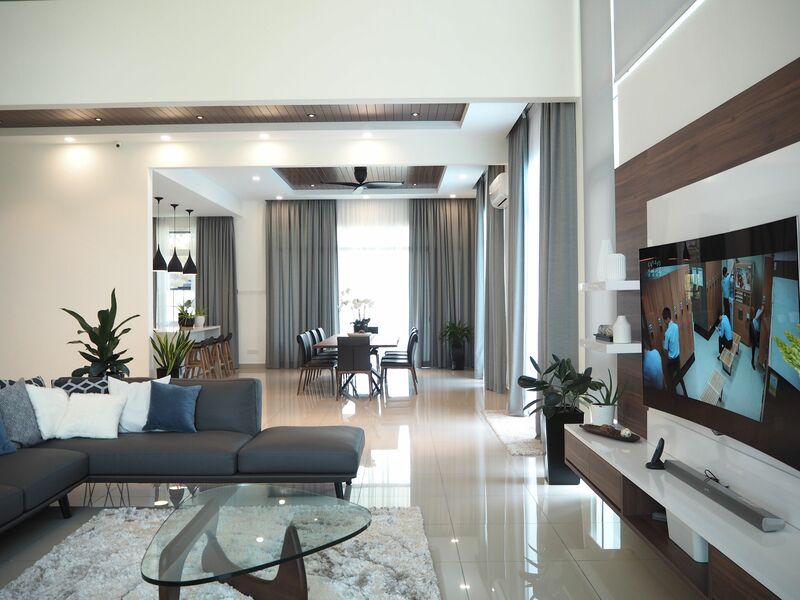 As for fully furnished homes, we also provide home renovation services to revive your home and give you a brand new living space, one that fits your lifestyle to a tee. 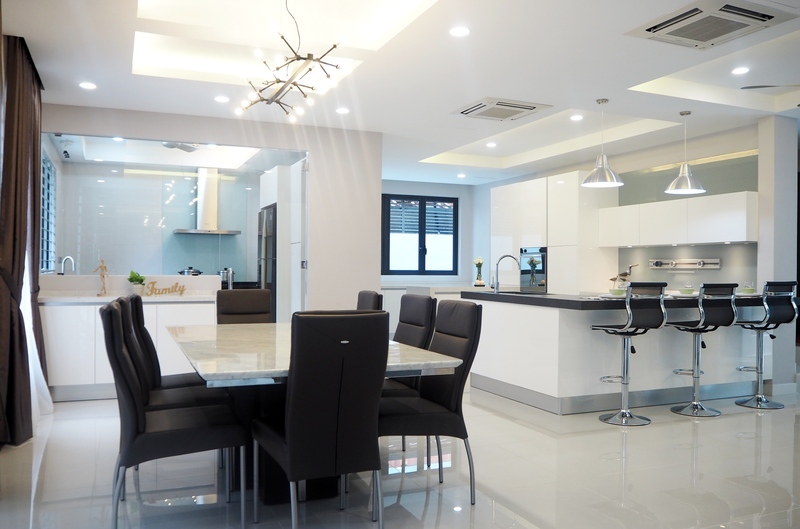 The home renovation services can be complemented with our furnishing and decorating services where even the selection of tiles and colour schemes are on our shoulders. Spend some time to glance through our portfolio and know that Meridian Interior Design is capable in handling and managing various types of projects. “Meridian pricing compared to other IDs are much more expensive than the others. What makes me select Meridian is because of the strong branding you have for Signature Kitchen. We have seen some of our friends using your kitchen product and we are happy with the quality and workmanship. For my previous house, we have used someone else and we found the product of lesser quality in terms of materials used, poor hinge technology, etc. Aliaa is a great sales person and her after sales service is prompt and exemplary. Aliaa is a very responsible and accountable person in delivery her promise. Yes, I would recommend Meridian because Signature Kitchen provides high quality materials and staff service is above par. “Although at first you may find their pricing to be on the higher end compared to other IDs, you later realise that it is reasonable for the quality of service and materials you are getting. 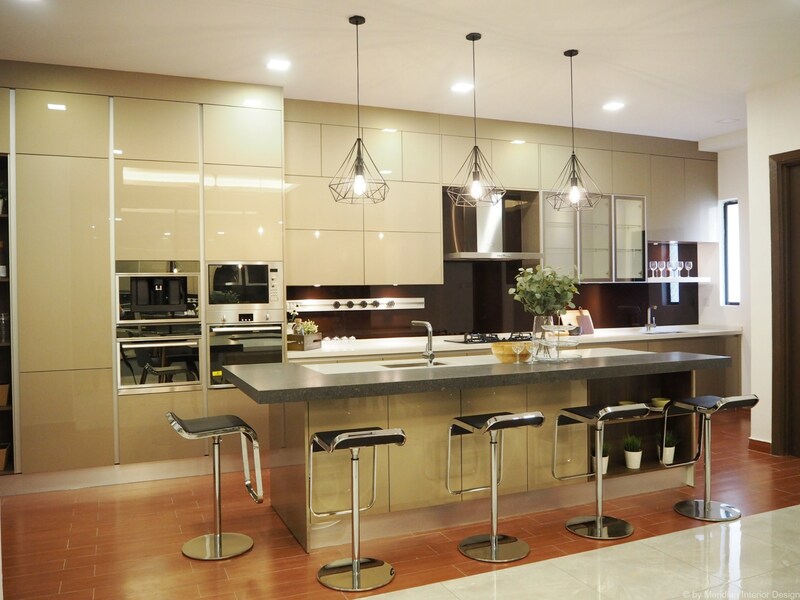 When my husband and I were planning to move into our new home, I immediately knew that I wanted to have my kitchen designed by Meridian. There was no doubt about that as their portfolio is amazing. 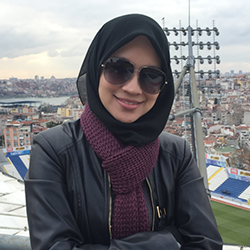 Further reinforced by a friend’s recommendation, we did not hesitate to get in touch with Nur Diyana to set an appointment. It was hassle-free and convenient. The main challenges I’ve faced with other contractors is their lack of knowledge on modern kitchen designs and lack of attention to detail. With other contractors I had to closely monitor their work to ensure it was done according to my requirements. However, with Meridian I was able to be a bit more hands-off, because you can definitely trust them to deliver great work. Their workmanship is very neat and it makes all the difference! 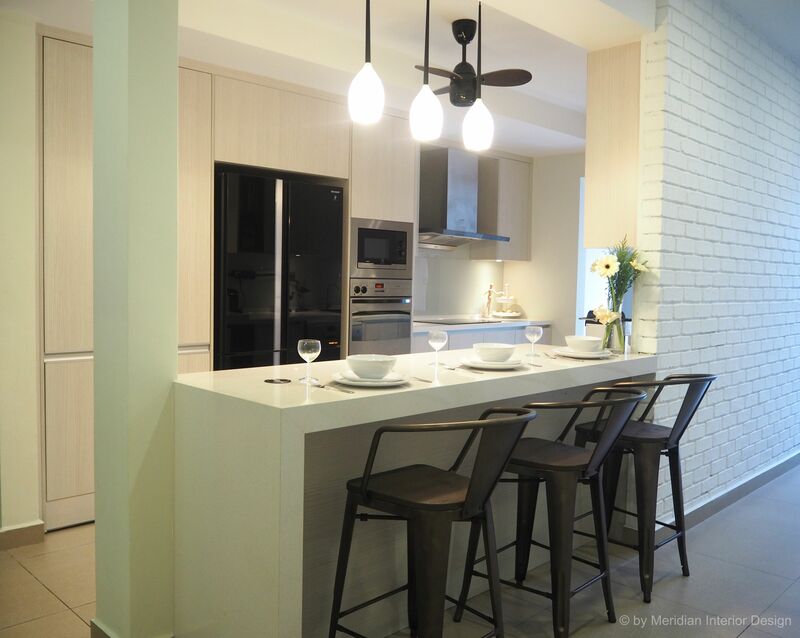 When I approached Nur Diyana, I had a clear vision of what I wanted my new kitchen to look like. With her knowledge and expertise, she helped us with selecting the best layout, materials and appliances to give us our dream kitchen. She truly managed to translate my vision into a detailed design and perfectly executed it. 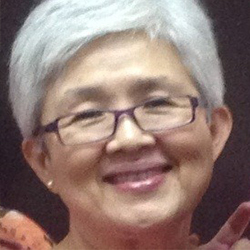 She was understanding to our needs and budget, highly responsive and very accountable. 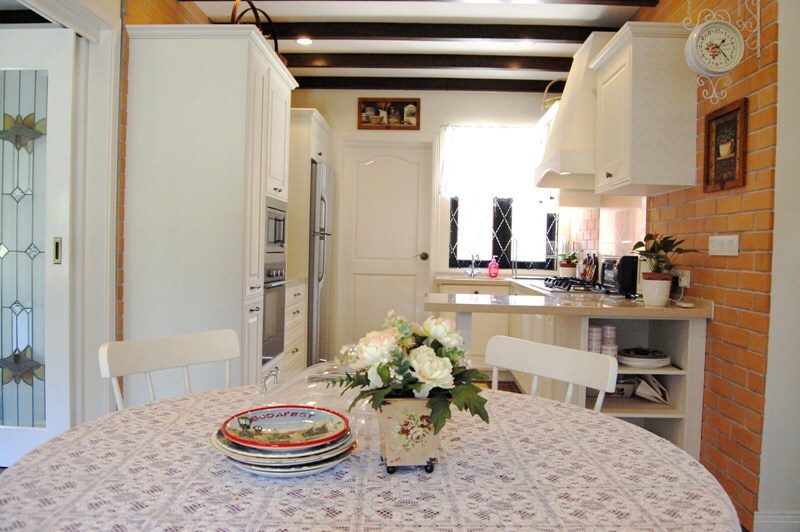 I am very satisfied with the outcome – our kitchen looks great! I would recommend Meridian to my family and friends because their service and designs are way ahead of their competitors. A personal touch and people’s skill truly makes a difference. “Meridian pricing compared to other IDs are reasonable. I selected Meridian because of their design and workmanship. Yes, Meridian is easy to deal with. I would recommend Meridian to my friends and family because they are professional and provide quality product and workmanship. “We were comfortable in our discussion with Alfred who attended to us in our first meeting in Meridian. We felt he was diligent and dedicated to understand our needs, and had the confident to let Meridian team to handle our home project, let by Alfred. We feel that the Meridian team triumphs in their dedicated communication with the clients. Although there were some minor hiccups during the project, all issues were attended to efficiently and professionally by Meridian, which we feel is a value which distinguishes the Meridian team from the other contractors whom we have dealt with directly or indirectly before. 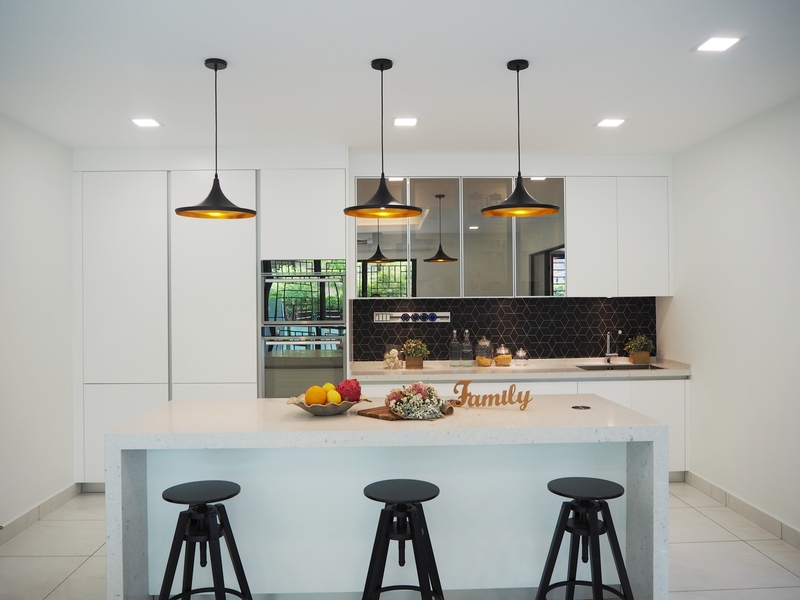 As mentioned, we feel the seamless communication with client throughout the process by the Meridian team has made the otherwise stressful renovation process a breeze. Another aspect which we like about Meridian team is their dedication in going for extra miles to solve the other issues which are technically beyond their job scope. Their services are well rounded and have been professionally rendered. Yes, we will certainly recommend the Meridian team to our friends and family. We would sum up Meridian as Professional." “We were comfortable in our discussion with Alfred who attended to us in our first meeting in Meridian. We felt he was diligent and dedicated to understand our needs, and had the confident to let Meridian team to handle our home project, let by Alfred. We feel that the Meridian team triumphs in their dedicated communication with the clients. Although there were some minor hiccups during the project, all issues were attended to efficiently and professionally by Meridian, which we feel is a value which distinguishes the Meridian team from the other contractors whom we have dealt with directly or indirectly before. As mentioned, we feel the seamless communication with client throughout the process by the Meridian team has made the otherwise stressful renovation process a breeze. Another aspect which we like about Meridian team is their dedication in going for extra miles to solve the other issues which are technically beyond their job scope. Their services are well rounded and have been professionally rendered. Yes, we will certainly recommend the Meridian team to our friends and family. We would sum up Meridian as Professional." “Meridian’s pricing was on the higher side compared to others but my wife and I decided to go with Meridian because of their reliability and most importantly their after sales service, which we had read online, was excellent. My wife and I were impressed with the excellent finishing. Alfred Teoh was also helpful in drawing up a few proposals for us to consider. Alfred also took time to explain to us the different finishing, etc. pros and cons. Meridian was helpful and Alfred assisted us to envision the kitchen that was suitable for us. Alfred was also very helpful in liaising with our renovation contractor. He patiently answered all our questions. We would recommend Meridian to family and friends because Meridian listens to the clients needs and wants and advise accordingly. Alfred worked around our busy schedule. Meridian would consider the client’s vision and come up with a proposal to closely match it. “Comparing to other ID’s, Meridian pricing is a little pricey! I was recommended to Meridian by a family member who is incidentally is in the furniture business. Meridian designer, Lee Yang offered an excellent service, great project management and rendered good advice. I benefited a lot from Meridian, Meridian gave good project management, design advice, not just on the Signature Kitchen products but other aspects as well. 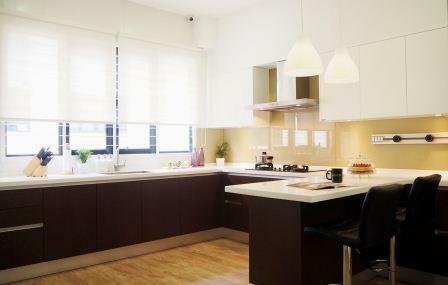 Lee Yang also gave advise on the choice of kitchen tiles design, backsplash, lighting and furniture accessories. Lee Yang demonstrated a real initiative for my project. He was also courteous, patient and attentive. I would recommend Meridian to my family and friends because of the great service and great products. I would spread word of mouth using the Internet, posting on sites such as Pinterest and website. “I was completely assured throughout the renovation period of the quality of the work that was done. Throughout this process I had the peace of mind that the entire project was well taken care of. I did not have to worry if workers showed up or the timeline was adhered to. I just needed to check with Lee Yang if I had any concerns and they were duly addressed. The periodic update with the photos at the initial stage of the renovation was very helpful to me the client because it meant that Meridian was transparent and took care of things with a very client-focused approach. The recommendations made to purchase certain things like lights and fans were very helpful as well because I saved a lot of time by not having to go figure out things on my own. Also, it tied in with the concept of the design. 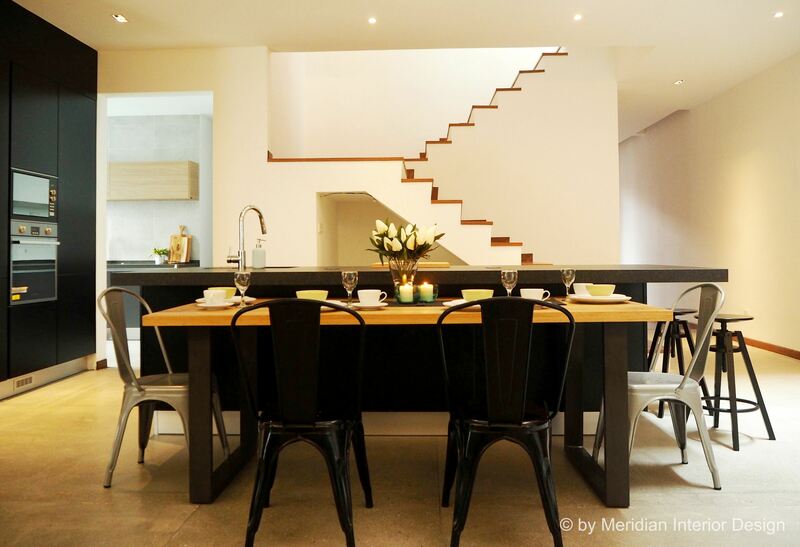 Meridian helped to create the home that was my heart’s desire and I am thankful to Lee Yang, the designer, who pulled to whole concept together and made sure that the designs showed to me materialized in the end. The decorating services provided helped to put the final touch to the creation of a home that is very modern, warm and comfortable. For this, I have to say thanks to Fadzli for creating it. I look forward to going back home after the end of a working day. 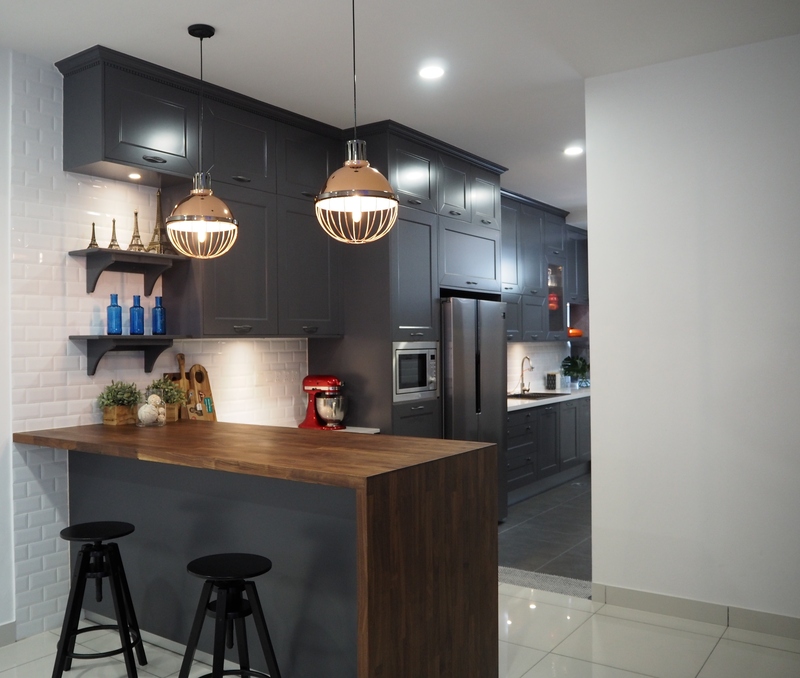 It was a very worthwhile investment that I made in getting Meridian to design, renovate and decorate my new place because the quality of the work is extremely good and never at any point in time I was worried or concern. I will definitely recommend Meridian to my family and friends. WHY? Because they know to focus on the client’s needs to help create a home. The staff works around the schedule of the client and takes into serious consideration their needs. One word, Meridian is Extraordinaire!" “In my opinion, Meridian’s pricing is slightly above the industry average pricing. I have selected Meridian’s because of the good design and quality of materials used. Meridian’s contractors are prompt in responding to any requests or problems. I do benefit from Meridian service, they have given me options and alternative in terms of designs, pricing and materials. I have and I will recommend again Meridian’s to my family and friends because Meridian is a good choice to be consider. “Meridian’s retail pricing is considered above average in relative to other IDs. However, I am always a believer that good things don’t come cheap. But in my case, I am considered very lucky to nail the 50% promo sale price back in Aug 2016 which was definitely value for my money. Worth every ringgit and cents! 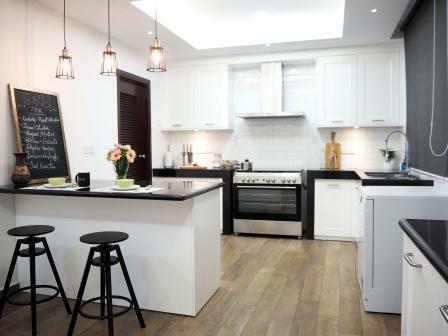 I chose Meridian as my kitchen ID simply for the confidence and trust I have in their product, workmanship and service extended to their previous clients over the years of their establishment in the kitchenette market. 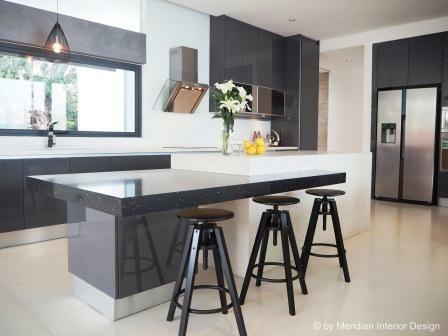 Meridian was able to translate my idea of an ideal dream kitchen through their modern sleek design teamed with its wide range of storage management products which strikes a balance between functionality and practicality. 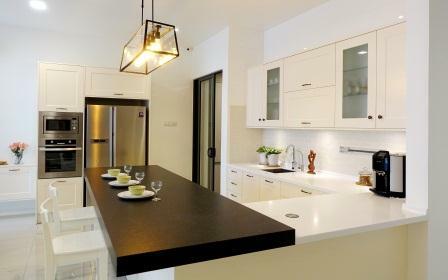 Prior to choosing Meridian, I was already engaged with another renowned kitchen ID based in TTDI. Meetings after meetings, I wasn’t fully convinced in terms of the kitchen’s layout, designs, material used and practicality of it. I had to get the ID to rework on the design multiple times and made him explain few times on his reasoning’s for choosing certain designs and items for my kitchen. However, my one time meeting with Diyana-Meridian’s ID was a spot on! I just gave Diyana a simple overview of what I need and she was able to portray it in her sketches almost instantaneously! 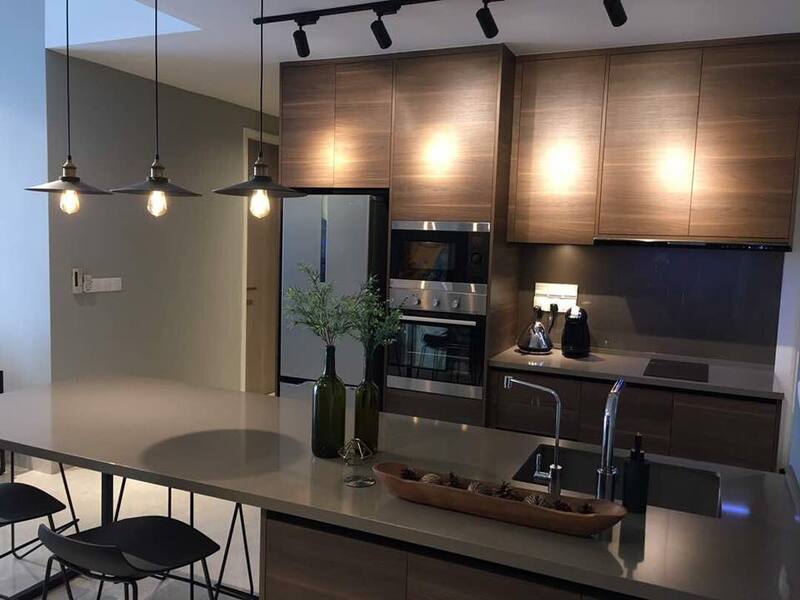 Diyana seems to know how to match what I need with what Signature Kitchen can offer with minimal supervision throughout pre and post installation process and to me that is what I call a professional service! Diyana is able to work independently when dealing with my contractor and other kitchen suppliers, Not only that, she was able to negotiate well with the contractor when we had issues with some defects during installation caused by the contractor’s negligence. Having Diyana onboard as my ID is definitely an added bonus! Yes, Meridian helped me a lot in understanding the importance of having a user friendly kitchen- locations of pull out drawers and cabinet locations for easy access at the kitchen, how to maintain my high gloss cabinets, sink area, jomeco island wood top polishing service as well as hands on demo for the teka appliances purchased! All of which I never knew or expected from other IDs. So far, any issues I encountered with my kitchen have been promptly attended to. I hope for this after sales service maintains throughout. I would definitely recommend Meridian to my friends and family mainly for their satisfying service extended pre and after sales service. 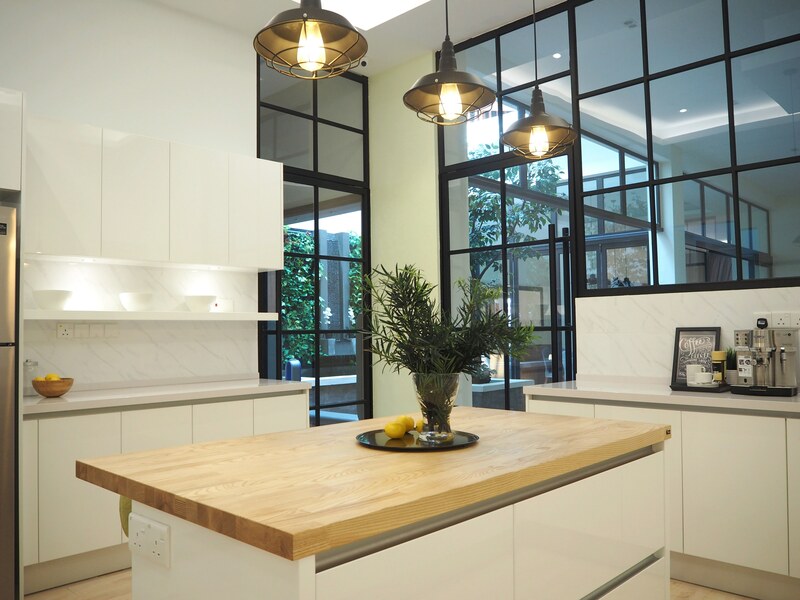 Definitely a one stop centre that can cater to your every need to make your dream kitchen come true! One negative perception that potential customers always perceived about Signature Kitchen is their exorbitant pricing. Perhaps, it is best for Meridian to be more proactive in organizing promotion throughout the year with enticing bundled packages which comes with free gifts that would definitely attract more attention from potential customers. That is the only catch as I was one of them, until I realized that such pricing comes with a lifetime satisfaction! “Meridian pricing is fair and reasonable compared to other IDs but more importantly they have an experienced team who are committed to exceeding the client’s expectations. 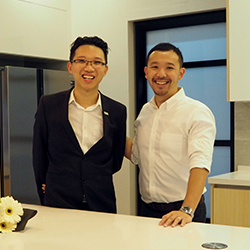 I met Nur Diyana by chance at a recent Homedec exposition and was immediately comfortable with her knowledge of modern kitchen designs and her awareness of the requirements of my recently renovated bungalow. Meridians after sales service are outstanding. Attending to minor readjustments and responding to my queries in a timely fashion place them in a league above other contractors I have dealt with. Meridian delivered a modern customised kitchen unit as I had visualised perfectly. “Meridian’s pricing is average for modular products and for equal material used. Comparing other contractor with Meridian contractors, our contractors are not as professional when it comes to technical drawings and specifications given. 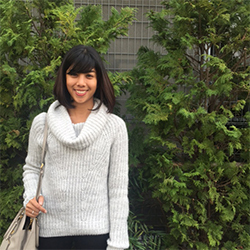 Yes I do benefit from Meridian because having Diyana as my consultant was very helpful when it comes to design and build. I chose a mix between Modular and custom. The team was good, as they could give solutions rather than make do with what is possible. I would recommend Meridian to family and friends particularly for the quality of products selected. Also, installation team was clean and could adapt to rules of cleaning up.